Toward this end, seven new (to us) understandings of the Bible are introduced in these pages as steps on the path to recovering one deeply engaged Bible. With each “new” Bible presented, deficiencies in how we currently interact with the Bible are explored, followed by recommendations for a new practice. The Bible’s transformative power is recovered when we remove the chains Christians have applied to it over the centuries. The Bible does not need to be saved because of any defect in itself, but because we have distorted and misread it. 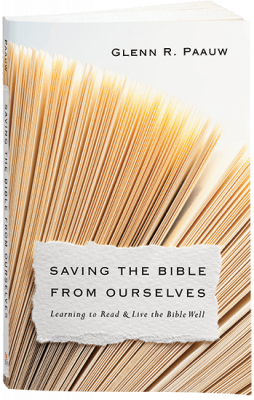 Saving the Bible from Ourselves provides students of the Bible a new paradigm for reading and living the Bible well.